Did you know that every day your teeth lose and regain minerals through a process called demineralization and remineralization? Demineralization is the loss of minerals from enamel when acids from plaque and bacteria attack the surface of the tooth. Mineralization is the process of redepositing minerals like fluoride into the enamel layer through food and water. If you experience too much demineralization, your teeth will become more prone to decay. Fluoride plays an important role in strengthening teeth and protecting them from decay. How do I incorporate fluoride into my lifestyle? Fluoride is already added to our water supply. However, there are additional ways to get this lifestyle into your oral health routine and lifestyle. Most toothpastes out for children and adults have fluoride added to them so that you get a twice daily application of it to your teeth. The amount in your toothpaste isn’t prescription strength, however, it is enough to provide a surface level of protection and remineralization. Toothpaste is great for maintaining already healthy levels of fluoride in your mouth and preventing future problems. Many mouth rinses are supplemented with fluoride. The fluoride in mouth rinses offers a quick coating of fluoride to offer protection on a daily basis. Dr. Kronquist offers in office treatment through fluoride foam put in a mouthguard and fluoride varnish. These treatments are much stronger than over the counter treatments and are most effective when applied through the ages of around 6 through 16. With that in mind, adults can still benefit from topical treatments of fluoride. 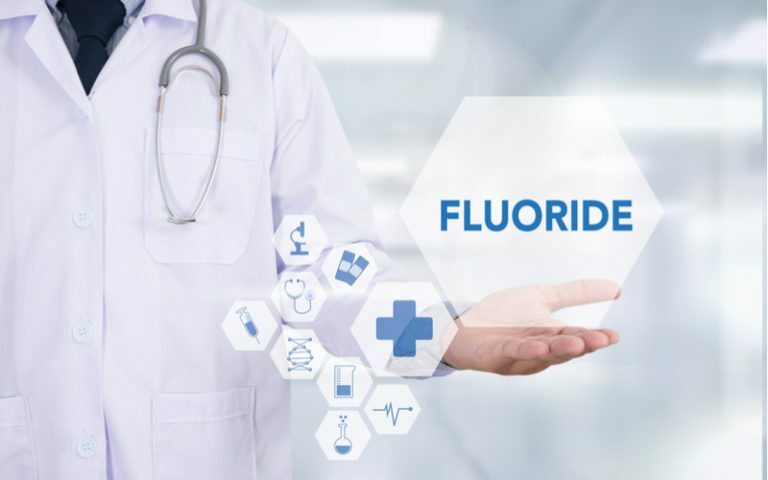 Who else benefits from fluoride treatments? People who suffer from dry mouth | A lack of saliva creates the perfect environment for bacteria to grow in, which ultimately leads to more decay. History of cavities | People who tend to get more cavities than others usually suffer from genetically weak teeth. Fluoride treatments, including fluoride pills, can help to strengthen teeth and fight cavities in those with naturally weak teeth. Those with gum disease | Gum disease is an irreversible (in the later stages) disease that’s characterized by decay of the teeth and surrounding soft tissues.